Hello all! Spring has sprung in the great Northwest and it's peeking its tentative head out on our visit back home in NYC!! Yes, I'm posting on vacation! I have the gorgeous Spring collection from Delush that having been waiting patiently to be shown off! This was my first experience with the brand and I can tell you I'm super impressed, right down to the thoughtful packaging! 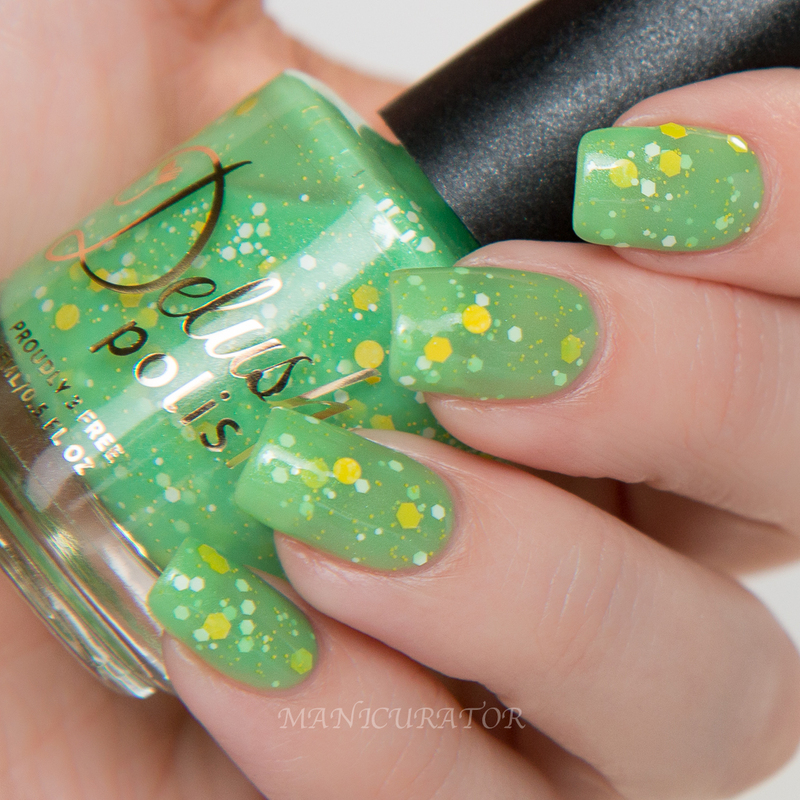 These shades are absolutely delightful representations of SPRING! 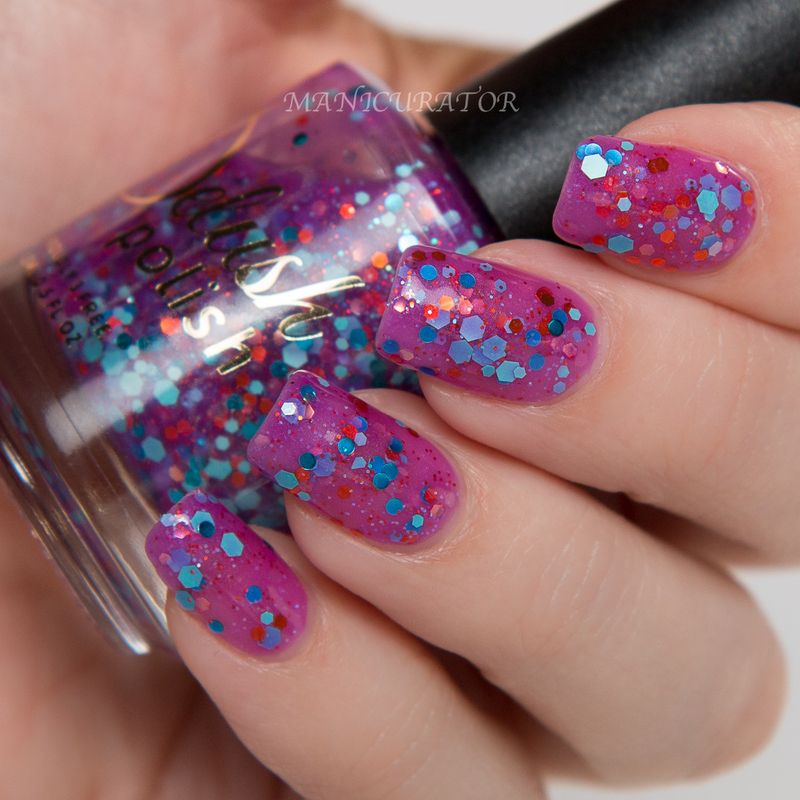 Delush An Offer You Can't Refuchsia a fun glitter mix in a violet jelly base. So I'll comment on the formulas right off the bat and then you'll just need to go through and gaze at these pretties! 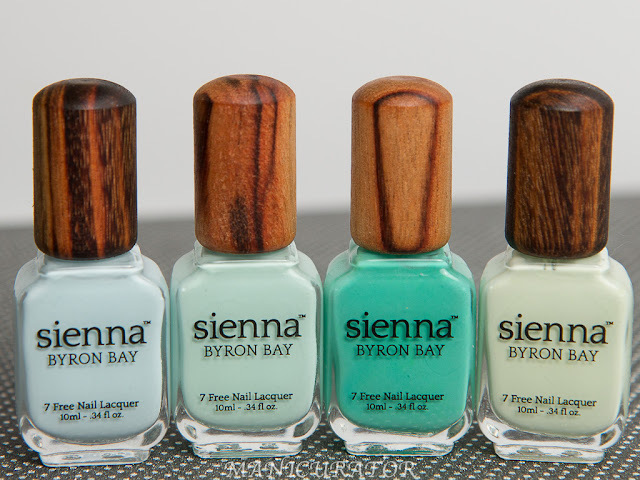 All of these, for me, required 3 coats as they are jelly or crelly bases. 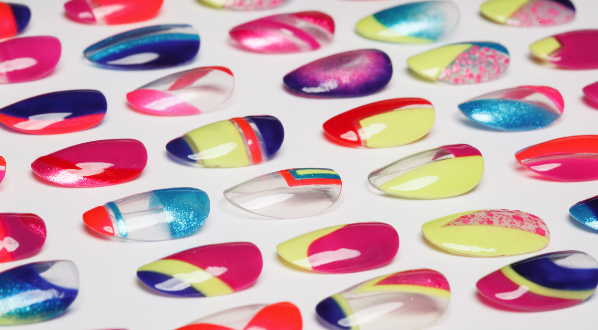 All had good to excellent formula and applied easily with no fishing for glitters necessary. All have KBShimmer Clearly On Top top coat. 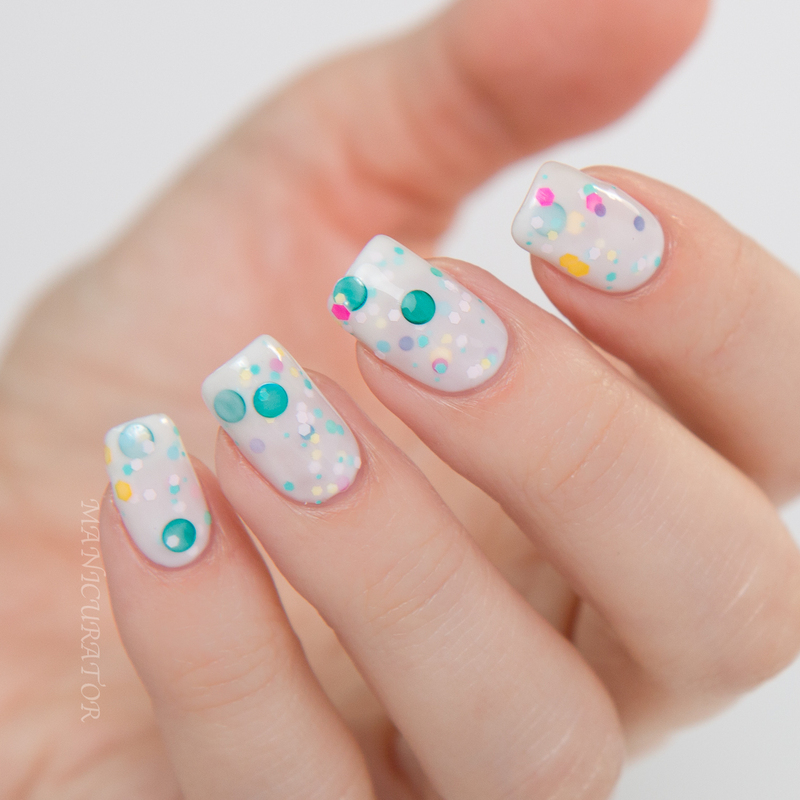 Delush A Peony For Your Thoughts a creamy white base with neon pink glitters and holographic dots. Not sure what's going on with that circle glitter on my ring finger. It didn't have that neon splotch in real life. 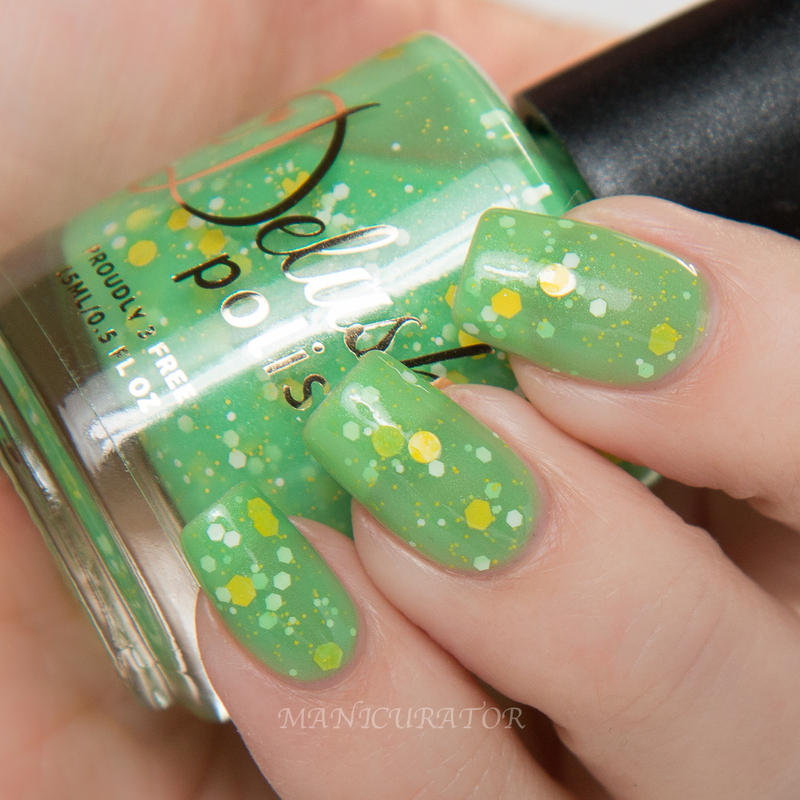 Delush Amazemint a mint crelly with delicate mint glitters. Delush In The Prime Of My Lime a lime green jelly with white and yellow glitters. Delush Springing In The Rain a sky blue crelly with white and fuchsia glitters. I'm fairly certain I can't pick a fave from this bunch! How about you? Are you loving these as much as I am? Perfect glitter crelly combos! Some gorgeous crellies here! I'm really liking Springing in the Rain. I can't even pick my favorite. I love these! i need all of them! Do they last? You may want to change that link, it's delushpolish.com, not Delush. And my avast won't let me open delush, as it states it's a threat. Just a note. FIXED and thank you so much! They are all beautiful for sure! Are you asking if they wear well? Unfortunately I can't say because I only swatched (and took right off). I'm drawn to Offer, Peony and Springing first, but his nearly I really like them all! Prime of My Lime is AMAZING!